Bear Claws- Attempt 2 (The Easy Way) | I Wanna Bake! After my last attempt at Bear Claws, I knew I would have to try again. I can’t let a baked good triumph over me, after all. Despite the 85 degree weather, I cranked my oven up to 400° and turned out some pastries which were actually worth the (extremely minimal) effort. I still plan to conquer puff pastry in the future, but considering the results I got from the store-bought version, I’d have to say that this is definitely one of those instances where the effort you save by buying it pre-made definitely makes up for any slight loss in quality you might notice. The downside is that there doesn’t appear to be any chocolate puff pastry on the market, at least not anywhere I looked. You can make up for this by drizzling melted chocolate on top, like I did, or by mixing a little bit of cocoa powder into some powdered sugar and sprinkling it on top. This time, I remembered the Weird Al. Obviously, it made all the difference. While photographing the steps adds some time, I’d say that putting these together probably took less time than listening to Albuquerque one time through. Fortunately, I was doing other things in the kitchen while making these, so I was still able to listen to the whole album in all its nerdy, parodic glory. If you plan to make a day of it, I suggest adding Mandatory Fun, as well. Particularly if you’re going to be using aluminum foil. Now that you’ve gathered your ingredients, put down that box of starving, crazed weasels and let’s get baking! Thaw your puff pastry according to the package directions. It should be soft enough not to crack when you unfold it, but still cold. If it gets warm enough to droop and stick to things, put it back in the fridge until it hardens up a bit. 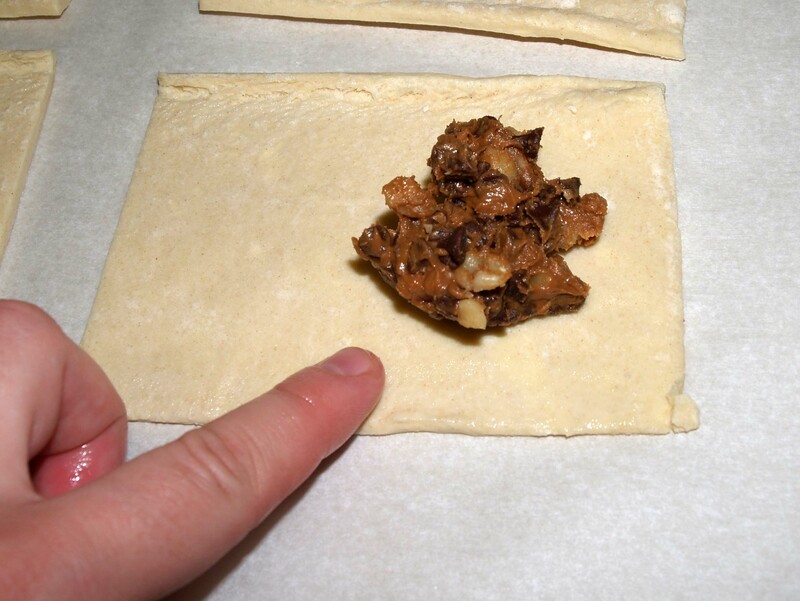 While your puff pastry thaws, prepare the filling. 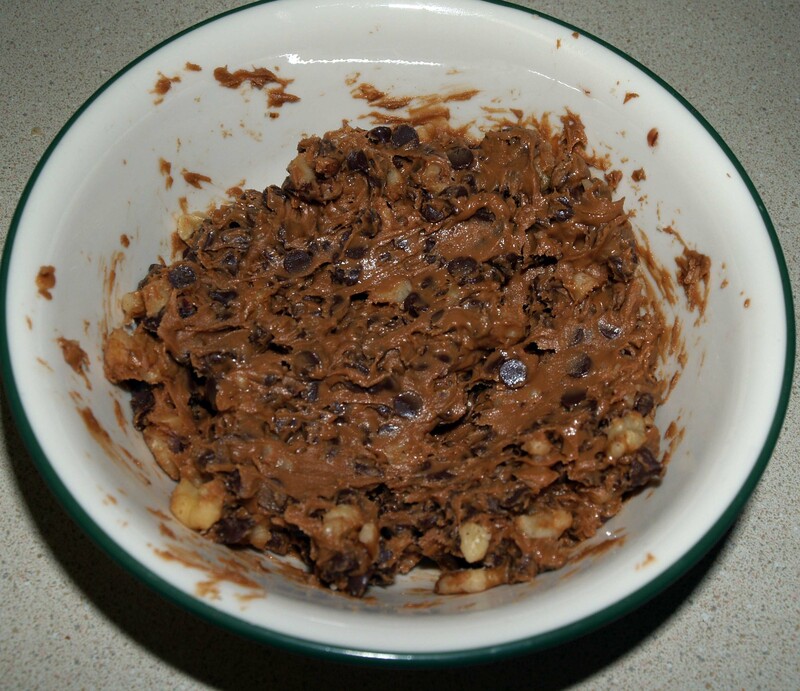 Stir together the cookie butter or nutella (or both if you’re feeling saucy), crushed walnuts, and chocolate chips in a small bowl. That’s it- it’s ready to use. 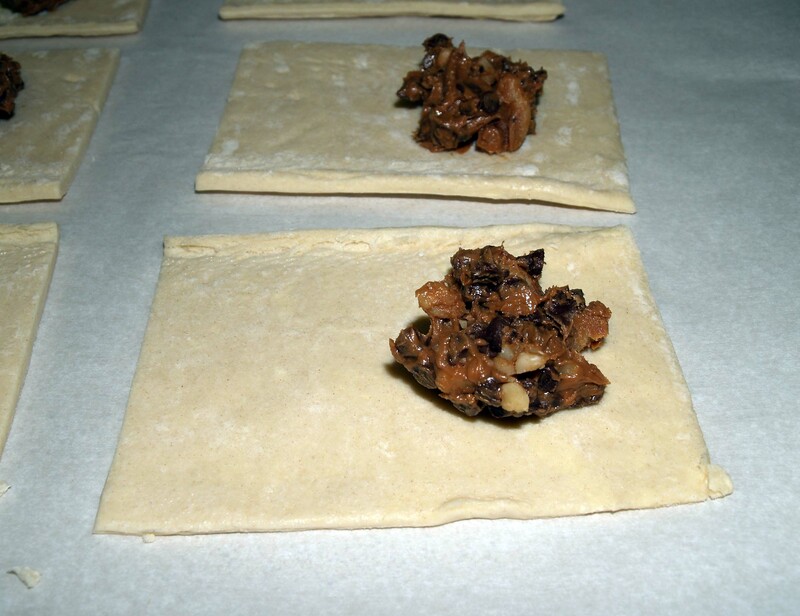 When your puff pastry is ready, lay it out on your work surface (I used a piece of parchment paper for easy cleanup). 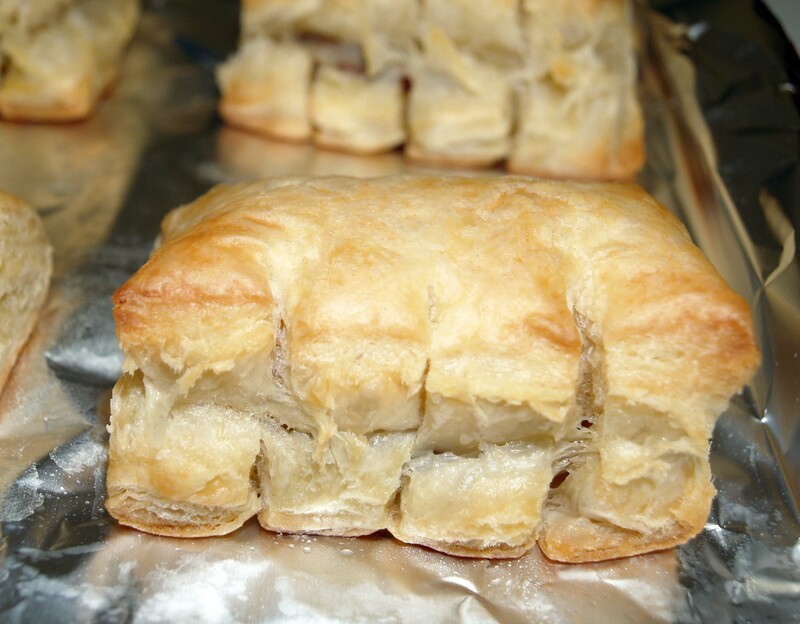 Cut the puff pastry into rectangles with a pizza cutter or sharp knife. My pastry sheets were roughly 9″ square, so I cut them into six 3″ by 4.5″ rectangles. Drop approximately a teaspoon of filling onto one side of each rectangle (vary the amount depending on the size of your rectangles). 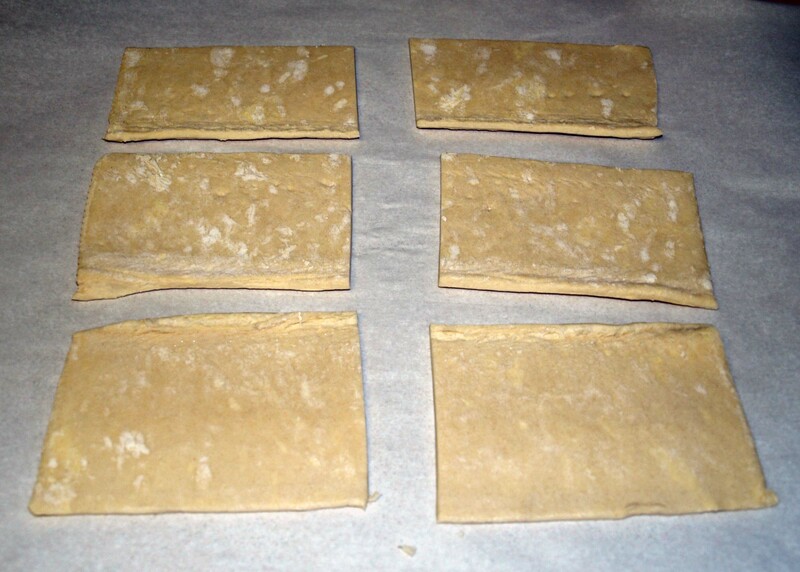 Moisten the edges of each rectangle with a pastry brush or your finger to help them hold together when folded. Fold each rectangle in half, gently pressing the edges together to seal them. Make three or four 1/2″ cuts in the long seam to form the toes. 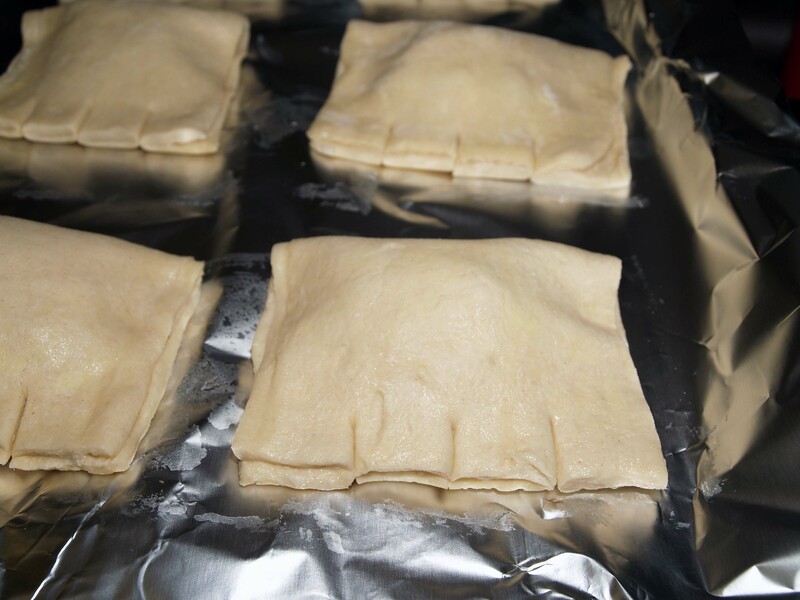 Place your finished bear claws on a lined or greased cookie sheet and refrigerate for at least 15 minutes. Do not skip this step! Your pastries might burn or refuse to puff up if they’re too warm to begin with. While your pastries are chilling, preheat your oven to 400°F. When it’s ready, bake the bear claws for approximately 20 minutes, or until the tops are puffed and light golden-brown. I know this part is hard, but now you have to let your bear claws cool. If you don’t, you will release a flood of boiling-hot lava into your mouth when you bite into one. For once, this is not firsthand knowledge, but I have enough experience with impatient pastry eating to know exactly what’s going to happen. Trust me, it won’t end well. 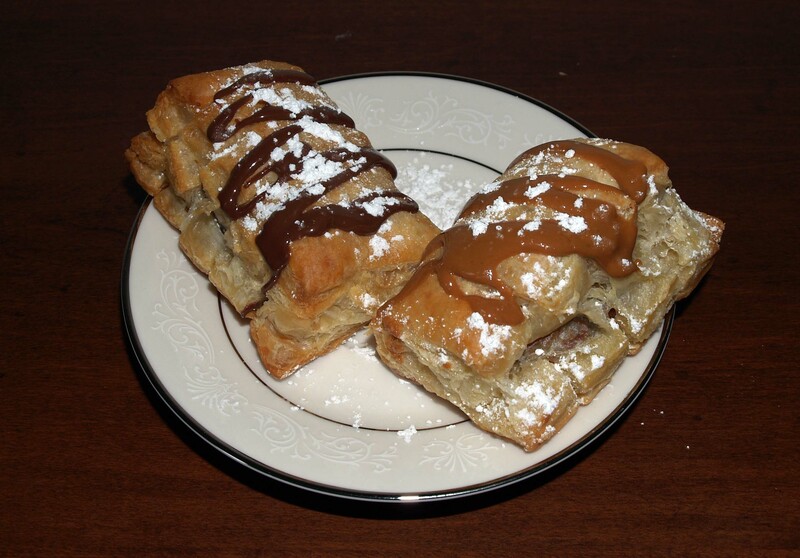 You can decorate your bear claws with more hazelnut spread/cookie butter, powdered sugar, or both once they have cooled. 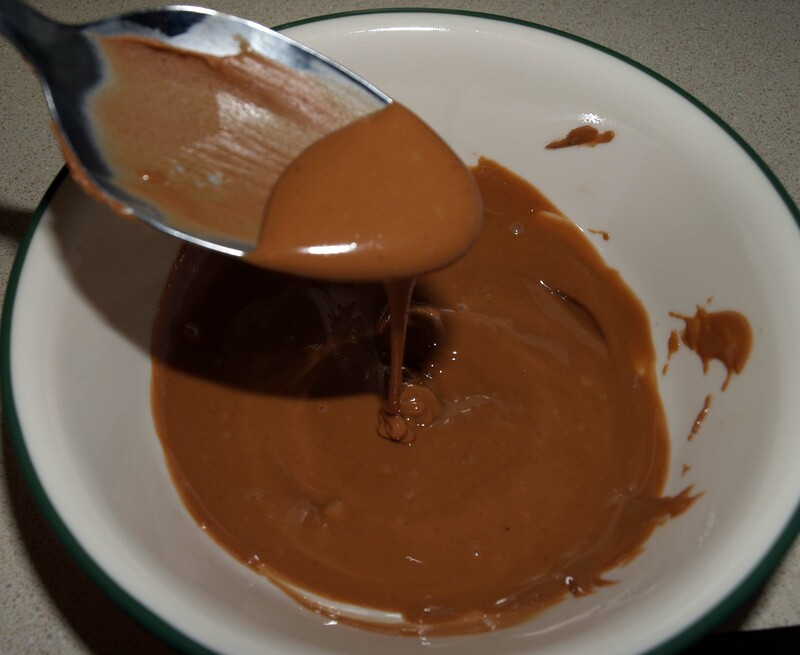 To use a drizzle of the spread, spoon 1-2 Tbsp. 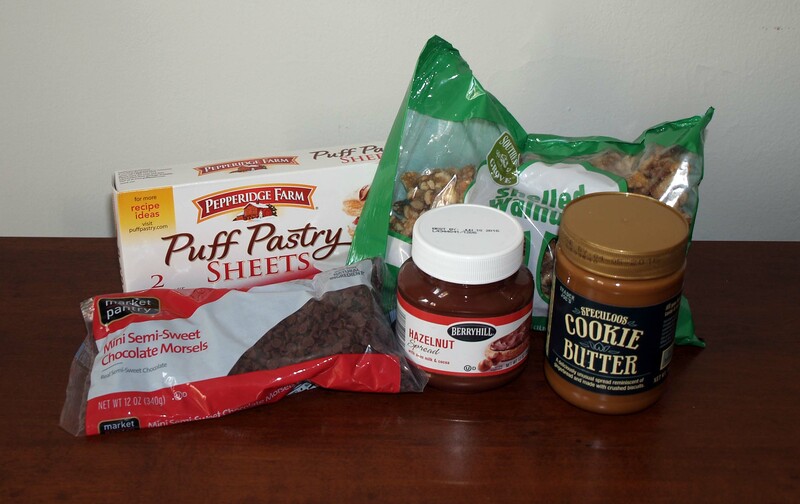 of hazelnut spread or cookie butter (or, again, both) into a small bowl. Microwave this for 10-15 seconds, watching it like a hawk so it doesn’t explode in the microwave. 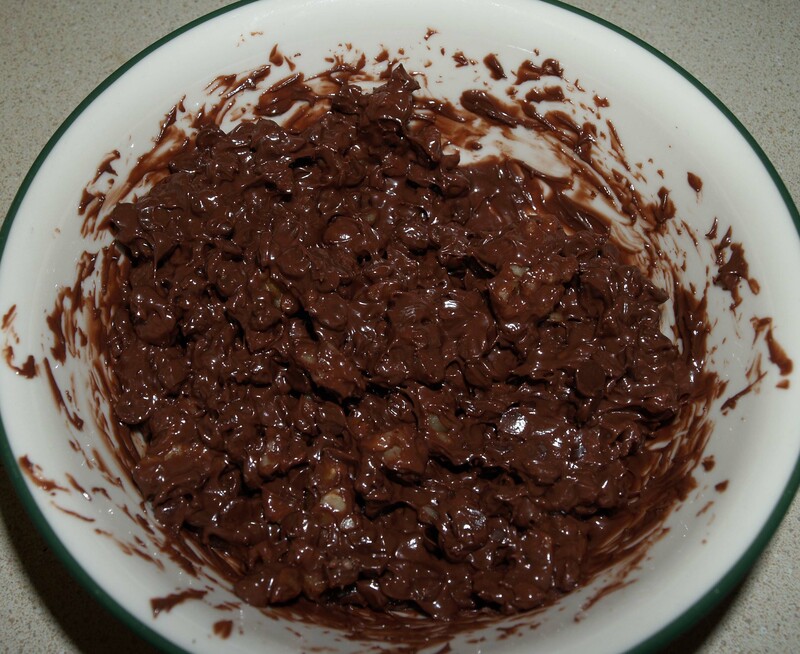 Once it drizzles nicely when poured, give it a good stir and drizzle it over your bear claws. Alternatively (or additionally), sprinkle some powdered sugar over them. Now enjoy the fruits of your labor!